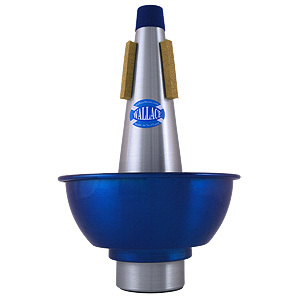 Based on the 361 straight mute, with a C-shaped sliding cup section designed for jazz players who want an additional tonal colour. 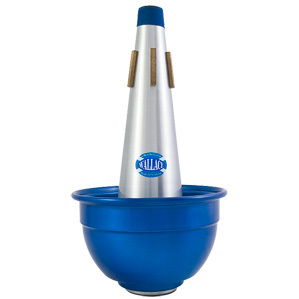 A rare and invaluable addition to our Flugel mute range. 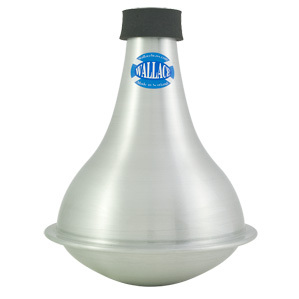 Makes the dark sound of the Flugel horn even darker and haunting. 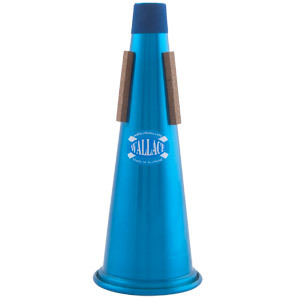 Unique and full of innovation, this practice mute fits completely inside the bell yet plays at normal pitch, can be tuned to your instrument and has adjustable resistance. 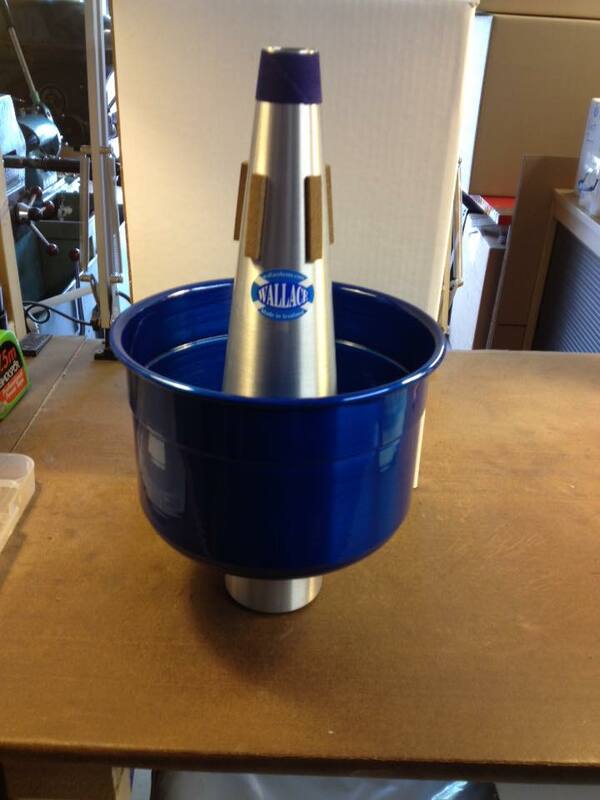 Free blowing and responsive over the entire register. Lightweight and beautifully finished in white powder coat. 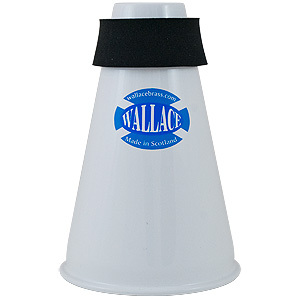 Whilst unusual, the Tenor Horn Bucket Mute is a requirement of the test piece selected for the National Championships of Great Britain 2015. 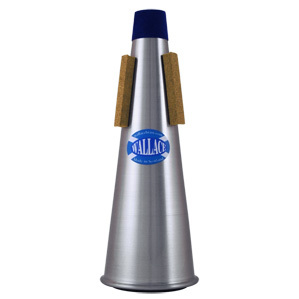 This mute has the same robust build and centered sound quality as you'd expect from a Wallace mute. 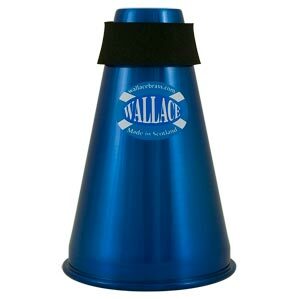 Unique and full of innovation, this practice mute fits completely inside the bell yet plays at normal pitch, can be tuned to your instrument and has adjustable resistance. 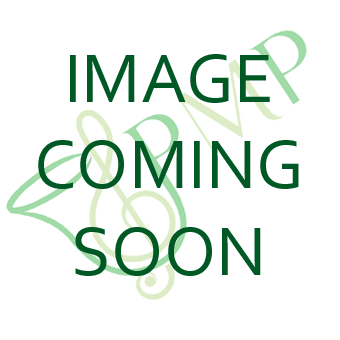 Free blowing and responsive over the entire register. Lightweight and beautifully finished in pink. A unique concept with a large resonating chamber and adjustable resistance, the M22 plays every note evenly with real centre right down to the pedals. 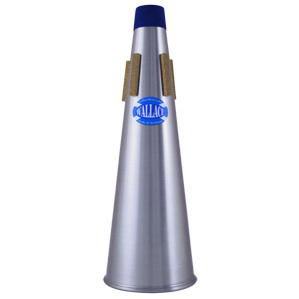 Adjust the resistance to your required setting and enjoy playing on this superb mute.